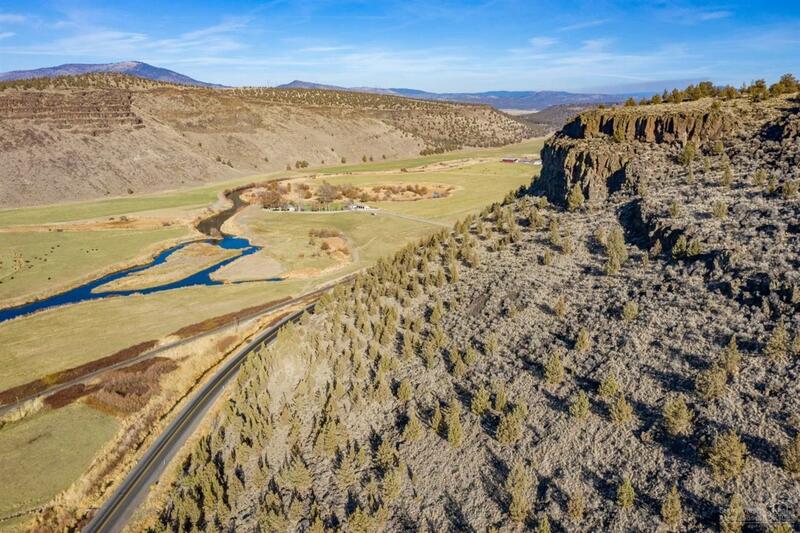 This ranch is conveniently located between Redmond & Prineville and features 3,500ft (+/-) of Crooked River frontage. 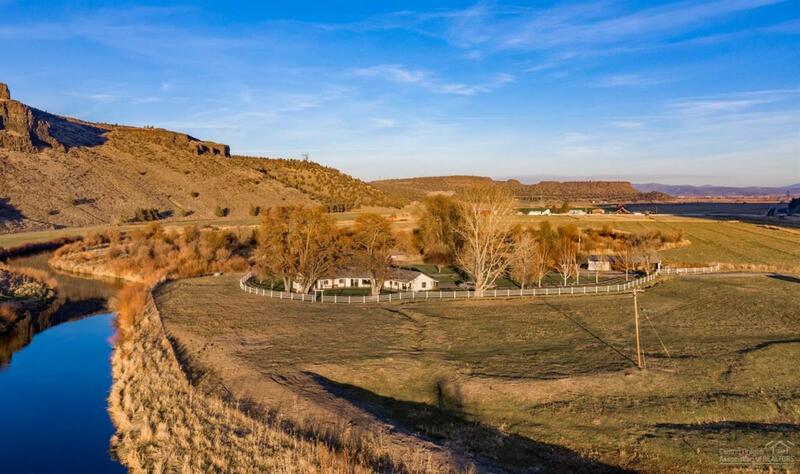 Historically operated as a cattle ranch. 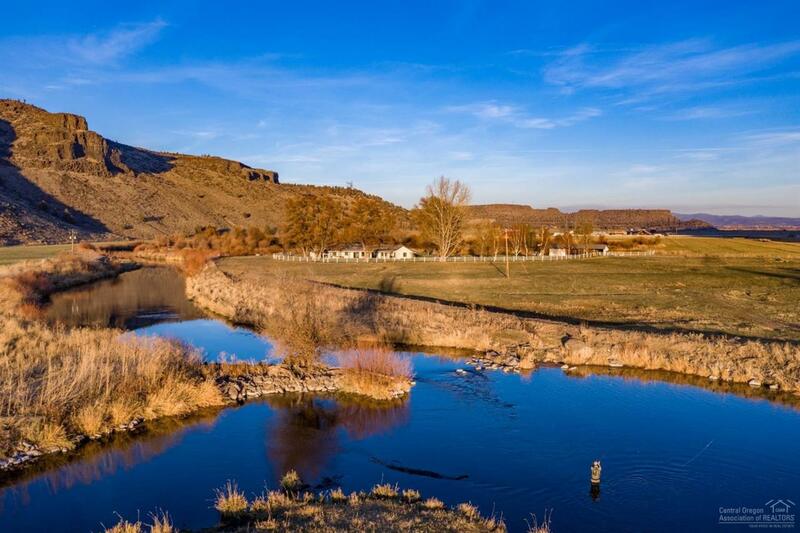 The river provides the avid outdoorsman with great fly fishing for trout, including the sought after Redband. The home features a timeless single level open floor plan. The great room is spacious with fireplace, vaulted ceilings, wood beams & great views. The charming open kitchen has a large peninsula & w/ample storage. The sprawling covered patio with sauna takes in great views of the Cascade Mountains. The mature trees & lawns make outdoor activities a delight. Just a few yards beyond the backyard is the River. 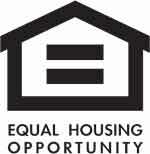 The home has been well maintained & has a recently updated lifetime roof. Circular driveway with cattle guard, insulated shop & three covered bays for equipment & RV pad with full hookups. 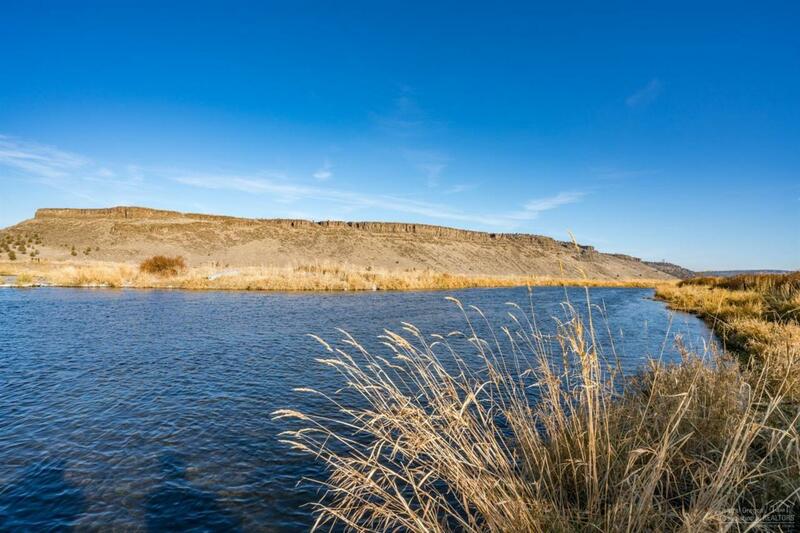 Irrigation rights from the Crooked River offer 90 (+/-) acres. The ranch is fenced & cross fenced for rotating 50+ pair of cattle.